What happens in Vegas is usually a hoot and a holler. This past Easter I flew down to Las Vegas and stayed downtown on Fremont Street at the Golden Nugget. I have been to Vegas a few times, but have always stayed on the Strip. The vintage casino and hotel and less stress of the gazillion people on the Strip was a refreshing change. I would recommend the experience for those travelling to Vegas on a return visit. If it’s your first time, the Strip is always a good way to start a life-long love for Vegas. But, after a few times, the hustle and bustle gets tiring, when you want some down time for some much-needed rest and relaxation. Downtown Vegas is the way to go and there are so many activities and treasures. First off, the Fremont Street Experience is indeed a smorgasbord for the senses — lights, music, free live performances on numerous stages, street performers (both naughty and nice), which included a stormtrooper playing guitar, spray paint artists and gambling at legendary casinos. Downtown Vegas most definitely transports you back in time. 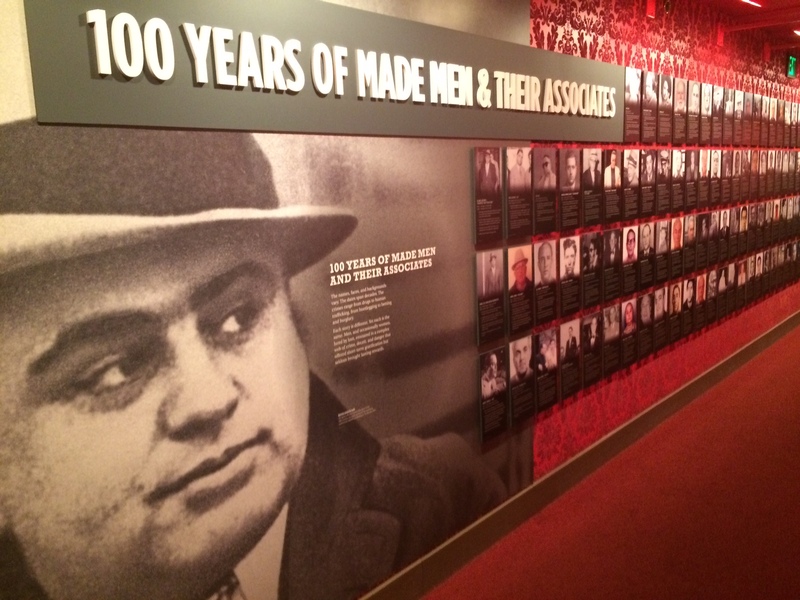 One must visit, is The Mob Museum, located just off Fremont Street. The museum offers visitors a chance to learn about mafia life in the United States including mob life in Vegas and law enforcement through the ages. I have always wanted to visit the attraction on my previous visits and I am glad I got a chance to check it out. It is definitely worth taking the time to see all it has to offer, especially to learn about the mob’s influence on Las Vegas and how the law cleaned Vegas up. One of the more thrilling, chilling and terrifying experiences I had was with a buddy on the Slotzilla Zipline, which threw me across part of downtown Vegas overtop the heads of revellers. It was definitely an experience to remember that’s for sure. Prior to the zipline, it was recommended we try eating at the Hash House A-Go-Go at the Plaza Hotel and Casino, which was amazing twisted farm food. I ordered a meal featured on a reality food TV show. I couldn’t finish it, as it was a monstrosity of tasty goodness. I decided to take a walk to the downtown Arts District, where Gold and Silver Pawn’s “Pawn Stars” film the TV hit series. I purchased a few swag items including a Chumlee bobble head after checking out the store (which was much smaller than I imagined) and I walked past a real live U.S. protest in front of a courthouse on my way to the location, just off Fremont Street. A group of us booked a giant bicycle pub crawl tour through Groupon online, which was a blast and I suggest Vegas visitors to take this tour, as you visit a few hole-in-the-wall establishments that are remarkable including Atomic Liquors and a place where adults can play large versions of popular games such as Operation and Toss Across. Atomic Liquors, we learned, was where The Rat Pack would frequent when it was in town. According to the tour guide, it was the only establishment at the time Sammy Davis Jr. was allowed to visit and customers would sit on the roof during atomic bomb testings back in the day. We also visited Container Park, which is an entire area with shops and eateries and drinking holes created from shipping containers. Another thing we tried for the first time was a driving service called Lyft, which is similar to Uber — where a driver comes and picks you up and drops you off at a preferred location. What a way to travel around Vegas. Fast, easy and less hassle than taking a cab or shuttle bus. And, affordable. We also went to the Strip for a night to check out the Tournament of Kings medieval dinner show, had one of the best chocolate milkshakes at the Hershey Store, picked up souvenirs at M & M World and had a platter of Coke beverages from around the world at the Coke Store. We also visited family staying at Sam’s Town, which has an RV park. That was considered down time and the sun recharged us, that’s for sure.